The Query Designer helps you build complex queries using "point and click" without having to write all that code by hand. In the previous lesson, we created a SQL script by clicking on New Query and running some SQL statements. In this lesson, we will look at how to write SQL scripts using the Query Designer - a GUI for building SQL statements. 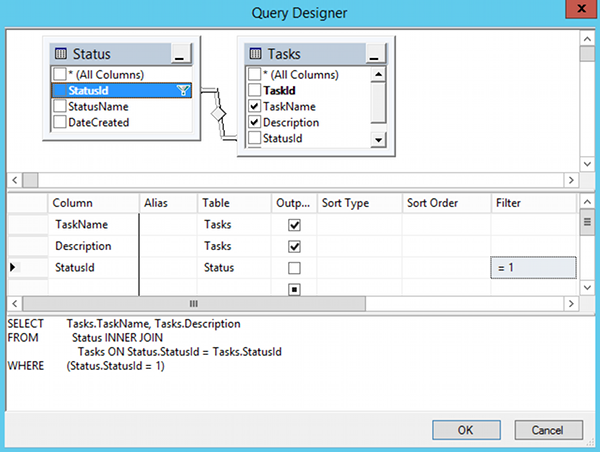 The query designer is a graphical user interface that assists in building queries for your SQL Server database. This can be particularly useful when building complex queries that involves many tables, views etc. 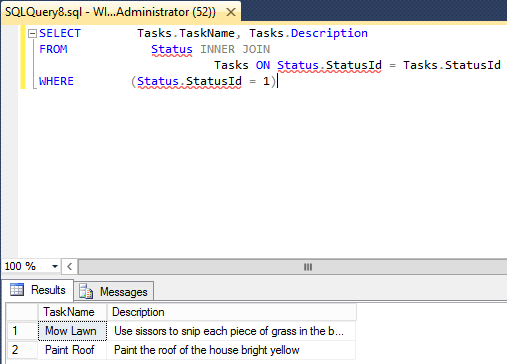 The Query Designer can also be beneficial for those who are learning how to write SQL. 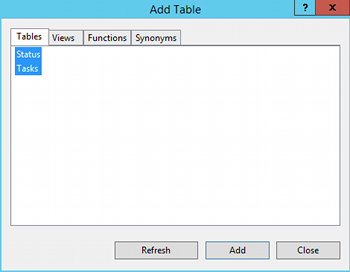 By using the Query Designer to generate the SQL, you can study the SQL and learn the syntax as you go. Click OK once you're happy with your query. But hang on to that query - don't delete it just yet. 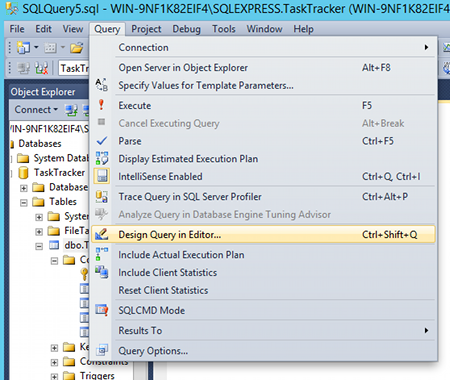 We're going to use the query to create a SQL Server view.